Prevent dangerous water accumulation, before it costs your business. 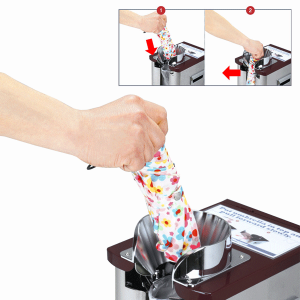 With Automatic Wet Umbrella Wrappers, guests have an easy and convenient way to stow their wet umbrellas. Stowed umbrellas are neat umbrellas, keeping your entryway free and clear of dangerous rainwater, snow, and ice accumulation. 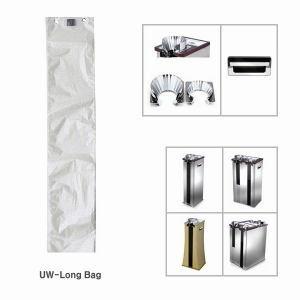 Automatic Wet Umbrella Wrappers prevent puddles and dangerous water accumulation in entryway vestibules, lobbies, reception areas, and more. Our newly designed Automatic Umbrella Wrappers feature a smart design that effectively wraps umbrellas, without mess. The top hole has been enlarged, and the wrapping mechanism has been improved to enable easy wrapping on the first try. 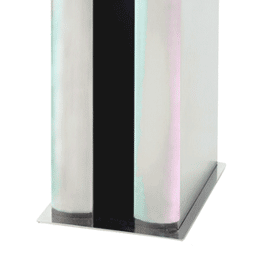 Each Automatic Umbrella Wrapper features an elegant surface available in a beautiful stainless steel finish. 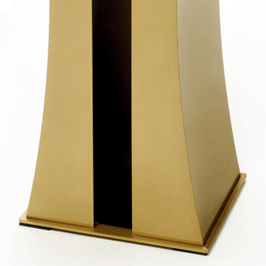 For a more traditional look, choose our new gold finish. The top of each unit features a beautiful shade of noble blue, ideal for most interior décor. 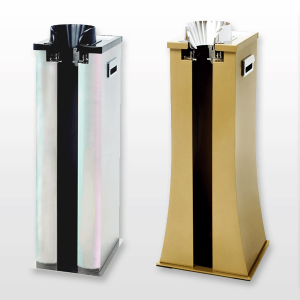 The compact size of our new Automatic Umbrella Wrappers ensures that safety is improved, without adding to the clutter of busy entryways or reception areas. Advanced wrapping mechanism is part of an all-new smart wrapping process that reduces the incidence of torn bags, partially-bagged umbrellas, and other inconsistencies. An oversized inserting hole with grooves ensures guests can easily slip an umbrella into the unit on the first try. Larger inserting holes also allow guests to wrap folding umbrellas with ease. Each unit handle is manufacturing with a high quality die casting mold, delivering stability and superior safety. Unit wheels do not come standard, but these stands are light and mobile and easy to place anywhere. We live in a litigious society. Slip and fall accidents cost American business owners upwards of $13 billion in 2012 alone, according to Liberty Mutual Workplace Safety Index (i). Slip and fall accidents are among the most costly in terms of liability and litigation, yet they are among the easiest to prevent. Invest in Automatic Wet Umbrella Wrappers, and keep floor spaces clean, dry, and safe for guests.